After a short foot pursuit early Sunday morning, the Hollister Police Department arrested a local man on suspicion of assaulting a police officer and possession of a firearm. 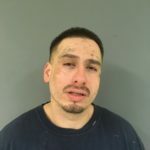 The Hollister Police Department arrested a local man for assaulting an officer and possession of a firearm after a short foot pursuit. On August 5, 2018, at about 01:55 a.m., Officer Miguel Masso was on patrol in the downtown area when he attempted to stop a vehicle for a vehicle code violation. The driver of the vehicle failed to stop and continued until it drove into a long private driveway on the 200 block of Sally Street. The driver drove the car to the rear area of the residence and away from the street. The suspect vehicle stopped and the driver got out of the car and ran westbound through the yard and toward the rear fence. As the suspect ran from the car, he appeared to be holding something or trying to conceal something in his waist area. Officer Masso chased the suspect and quickly caught him while the suspect was trying to jump over a fence. Both the suspect and Officer Masso fell onto the other side of the fence and near the railroad tracks located between Third Street and First Street. The suspect began to violently resist arrest and strike at Officer Masso. The suspect refused repeated commands to stop resisting and refused to pull his hands out from underneath him. After a short struggle, Officer Masso was able to force the suspect’s hands out from underneath his body and handcuff the suspect. A search of the area where the struggle occurred revealed a loaded firearm that had apparently been dropped by the suspect. 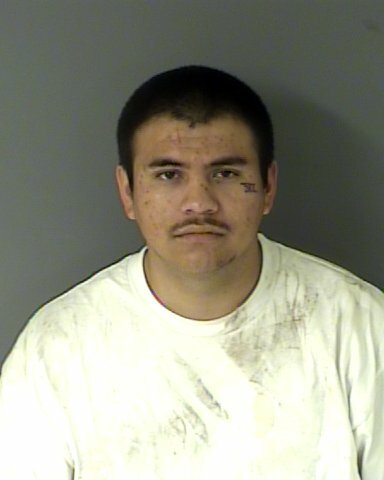 The suspect was identified as Hollister resident Daniel Perez (20). Further investigation revealed drug paraphernalia on his person and Perez was found to be driving while impaired. Perez was also wanted for a case that had occurred the previous week where he was identified as the driver of a stolen car. In that previous case, Perez allegedly abandoned the vehicle on Knight Lane as officers were attempting to stop him, he got away on foot but ammunition was found in that stolen vehicle of the same caliber as the recovered gun. Perez was transported to the hospital for medical clearance. 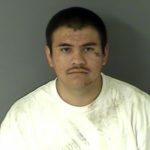 He was uncooperative at the hospital and subsequently transported to the San Benito County Jail and booked on charges of assault on a police officer, resisting arrest, driving under the influence, carrying a loaded firearm in public, carrying a concealed weapon, felon in possession of a loaded firearm and possession of drug paraphernalia. 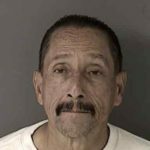 Perez was also charged regarding the case involving a stolen vehicle that occurred last week and booked for an arrest warrant out of Santa Clara County. Officer Masso was treated at Hazel Hawkins Hospital for injuries incurred during the arrest and later released. Anyone with information regarding these investigations is requested to contact Officer Miguel Masso at 831-636-4330. Persons wishing to remain anonymous may call WeTip at (800) 78-CRIME. Information provided to WeTip may qualify for a reward.